The first call for proposals was open from 29 April 2016 to 5 August 2016. 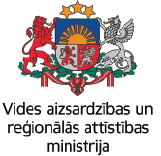 A total amount of maximum 20 862 958 euros is allocated for 41 cooperation project across four Interreg V-A Latvia-Lithuania Programme 2014 – 2020 priorities. These project applications were selected out of 158 projects that were submitted.